Cale has been busy producing artists since the late Sixties, when he captured the raw sound of the Stooges and the teutonic tones of Nico. 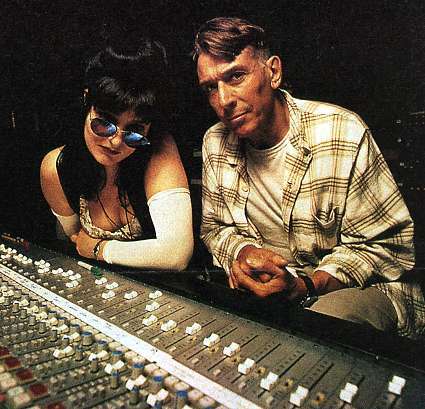 Production jobs came and went (and sometimes fell through), but he is still in demand by acts who want "Producer: John Cale" in the liner notes of their albums. Roxy Music contacted Cale to produce their second album. Cale recommended using the AIR studios, but it never happened. The Cale produced 1976 demo sessions with The Police never see the light of day. Geraldine Fitzgerald's cover of Antarctica Starts Here falls through in 1978. Sessions with Gene Loves Jezebel in 1984 are shelved. Dutch garage rockers Claw Boys Claws came close in obtaining his services after a gig at the New Music Seminar in New York in 1988. Singer Mark Lanegan tried tot get him as a producer in 2003. The Embarrasment had a nice chat, but backed out after learning about the costs. Cale himself always wanted to produce Captain Beefheart. "I really love producing other artists. I love helping someone achieve his goals. I always try to approach it from the point of view, "What would a Zen master do in these circumstances?' And that is not to give the artist a direct answer to all his questions, but to suggest a solution by other means. You've got to stick to what you believe in. It might be lucrative for me to work with a particular personality, but if I don't feel sympathetic to what he's doing, I'm just letting myself down. And you lose all your credibility if you do that." After the Quadrophonic project for rival record label Columbia fails to take off, Cale joins Warners as a staff producer in 1971. He moves from New York to Los Angeles. Warners hopes to make a quadrophonic version of A Clockwork Orange by Stanley Kubrick. The costs of refitting the theatres for the new sound is too high to make it happen. Cale however was not compatible with big company big bucks producing methods and he left in 1975. He has been freelancing ever since. In the seventies he produced the classic Horses album by the Patti Smith Group. In the eighties he produced New Wave groups like Made for TV and Belgian singers of the Lio variety. The nineties found Cale producing the New Zealand act Garageland, Les Nouvelles Polyphonies Corses, Siouxsie & The Banshees and the Breton Alan Stivell. He made the all girls vocal group Mediæval Baebes sound like 21th century angels. Latest finished production job: The Boxing Mirror, an album by Alejandro Escovedo, released May 2, 2006. In 2007 Cale was producing a new Ambulance LTD album with that band's last remaining member Marcus Congleton. The result have never been released officially, because the record label went bust. 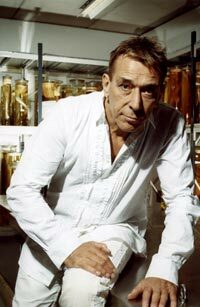 Twenty Cale produced tracks can be found on the John Cale - Conflict & Catalysis: Productions & Arrangements 1966-2006 album. It's hard to keep track of everybody he had his hands on. Any additions? Use the form.